Almost a dozen deaths on roads in south-east Lincolnshire have contributed to the highest number of fatalities in the county for a decade, new figures have shown. The number of people killed on the county’s roads during 2016 were 59, according to figures from Lincolnshire Police and Lincolnshire Road Safety Partnership. It represents the worst death toll since 2007 when 79 people died, but falls well short of the 2003 total when 104 people were killed. Chief Inspector Phil Vickers, Operational Lead for Roads Policing at the East Midlands Operational Support Service which serves Lincolnshire, said: “It’s been a particularly bad year on the roads in Lincolnshire during 2016. “Although the number of people seriously injured has fallen, the number of fatalities has gone up and, individually, each one of these is a tragedy for the families concerned. “There is no single cause that we can put our fingers on but when we do investigate collisions, there are usually two or more factors that have come together, including an element of inattention or a fault on the part of the driver. “In the majority of cases, it’s the driver who makes an error and we do see that older road users, pedal cyclists and motor cyclists are over-represented in road traffic collisions. 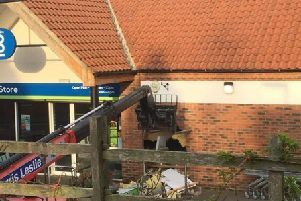 Coun Richard Davies, executive member for highways at Lincolnshire County Council, said: “All deaths on the roads are tragic and our thoughts are with those who have lost someone. “We take road safety extremely seriously and spend millions of pounds each year on keeping our highways in good condition. “After any serious accident, we carry out an investigation with the Lincolnshire Road Safety Partnership (LRSP) to see whether anything can be done to prevent future ones. “However, this year we haven’t really found any common factors between the accidents we have seen and although there has been a rise in fatalities this year, we are still well below the 80 to 100 deaths we were seeing annually at the start of the millennium.